by Cotillard, Marion | Cruz, Penélope | Day-Lewis, Daniel | Yeston, Maury | Beebe, Dion | Tolkin, Michael | Marshall, Rob. Visual material |  | Drama/Schicksal | Musikfilm | Revue | More titles to the topic Availability: Items available for loan: Stadtbücherei Wyk auf Föhr [Call number: DVD / D 1572] (1). by Powers, Tim | Rush, Geoffrey | Cruz, Penélope | Depp, Johnny | Zimmer, Hans | Wolski, Dariusz | Elliott, Ted | Marshall, Rob. 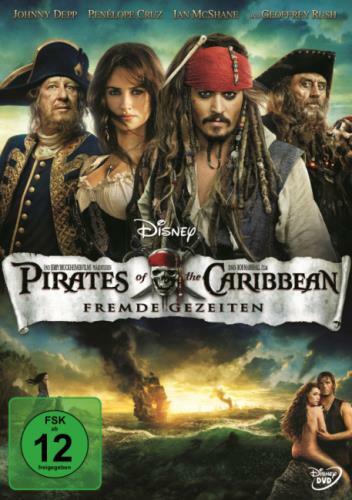 Visual material | 2011 | ABENTEUER | Fantasy | More titles to the topic Series: Fluch der Karibik ; Pirates of the Caribbean .Availability: Items available for loan: Stadtbücherei Wyk auf Föhr [Call number: DVD / D 1433] (1).